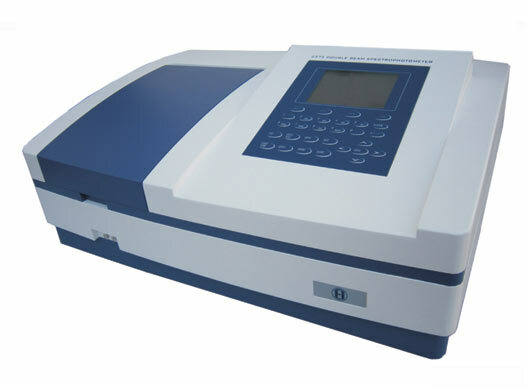 Double Beam Spectrophotometer is a solid state microprocessor based instrument designed for quick and accurate spectrophotometric analysis of any concentration. It operates at a wavelength range of 190 nm to 1100 nm. The use of diffraction grating in the monochromator produces a linear spectrum. The grating having very high resolution of 1200 lines/mm ensures a narrow bandwidth. The instrument is equipped with 5 Inches 320 x 240 dots graphical lcd the which makes the results easy to read. User can see the test curves on the graphical lcd screen. The system has soft touch numeric keys with complete numeric key that provides a convenient interface for entering numeric values. The instrument output is available in terms of % Transmission (%T), Absorbance (Abs. ), & Concentration (Conc. ).The instrument is suitable for clinical lab applications, pharmaceutical and biochemica, as well as routing applications such as quantitative analysis, kinetics, wavelength scan, multi-wavelength and DNA/Protein analysis. The instrument has sample storage memory and printer output port for printing of data with any dot matrix printer. The PC can be connected using the USB Interface. Provision for 8 position auto cell changer with 10 mm path-length cuvette is provided. Photometric Range 0 - 200 %T, -0.3 to 3A, 0 - 9999 Conc. © Copyright 2009 - 2010. 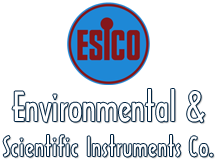 Environmental & Scientific Instruments Co.